Funk guitar is great fun to play. If you are familiar with a few blues guitar chords and scales then it is not too hard to get started. Today you've got a big collection of free on-line video lesson links to help you get into the groove. Free Funk Guitar Lesson Inspired by James Brown - a video lesson showing basics of funk strumming from Next Level Guitar. Chicken Grease Funk Video Lesson - Create funky rhythms on an E9 chord inversion without string muting by accenting certain beats. James Brown Style Funk Strumming - excellent James Brown inspired funk strumming lesson from Free Guitar Videos. Here's some videos that get you adding little riffs, licks or chord movement to your basic funk strums. There are tons of ideas to explore here, so take your time (Bookmark this page to come back to it later). Learn the Funk Electric Guitar Lesson - Hendrix style funk chord and blues licks from Next Level Guitar. Learn n Master Funk Guitar Style of James Brown - go beyond the basic 9th chord with these rhythm tricks over a I-IV-V progression from Next Level Guitar. The Secrets of Funk, Using It and Fusing It a lesson previously featured here with funk guitarist Leo Nocentelli courtesy of the Rock House. Cool Funk Strumming Pattern - another E9 chord based funk riff played in two positions, from Elmore Music. How to Play Funk Guitar - video showing some muting and single note riff techniques around a single-chord groove. Playing Funk - a cool funky groove with some chord movement from the UK's Guardian newspaper. Learn how to play the riff all over the neck. You can also get some accompanying articles on funk guitar with tab and audio. Funk Guitar Lesson John Frusciante Style - G minor funky grooves in the style of the Red Hot Chili Pepper's guitarist. From Next Level Guitar. Get another Red Hot Chili Peppers funk lesson here, this one's in B minor. Guitar Jazz Funk Chord John Scofield Style - a jazzier funk in C minor from Next Level Guitar. 4 Lessons from Arlen Roth and Gibson that will get you into the funk, Some Funk Rhythm Guitar, Hammer-ons and Pull-offs for Soul and R&B Guitar, Percussive Funk and R&B Fills, The Right Hand is the Drummer. 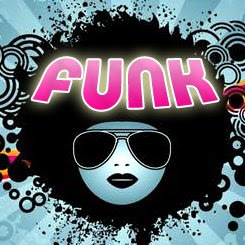 Funk Muted Notes - single note funk riffs with muted notes to enjoy from vGuitarLessons. Funk 101 - Funk Soloing - a video introduction to funk soloing on an A minor pentatonic scale. Lots more funk guitar lessons here on Infinite Guitar, but you gotta pay. 34 Funk Video Lessons from Guitar Master Class - everything from basic rhythms to soloing and wah-wah in this collection of 34 videos with backing tracks. Let your guitar cool down while you brush up your funk knowledge with these lessons in text and tab format. Make it Funky - A Primer on Playing Funk Guitar - a four part primer from about.com showing you basic technique, funk chords, funk rhythms and funk riffs. Funk Guitar Basics - a series of 10 articles explaining the funk style and techniques. Lots of good ideas tabbed out for you. That's a whole lot of funk for you to work on, so take your time. Bookmark this page so you can come back and work on the lessons at your own pace. And if you know a good funky guitar lesson that ought to be here, leave a comment below to share it. Wow! what a list! Good job! - Jon from Guitar Tricks. Great funk guitar resource, thanks man! This is great help for funk playing. Great site, man. I like the way you categorized this whole post according to the level of difficulty level. I deliver Guitar Lessons in Sunnyvale and i think sharing this list of you with my students would be great.